Kicking off this Mother’s Day weekend with some tips on how to start seed indoors. Despite our rocky soils and short growing season, we are fortunate in Newfoundland and Labrador to have plenty of land to start our own gardens. Anyone who has gardened here will fully appreciate (or curse) our nickname “the rock”. So over the summer we are going to share our tips for starting your own garden, and how to make the most of the short season. 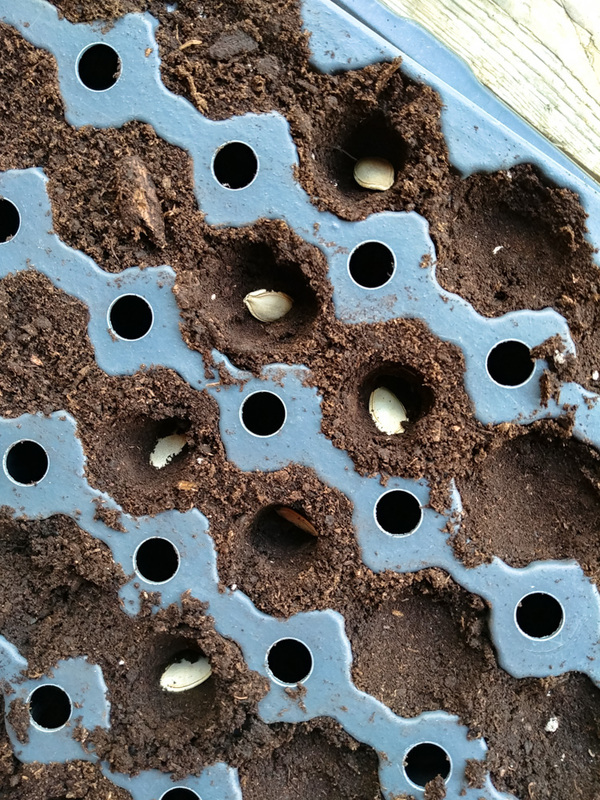 That begins with starting some seed indoors. We have about a three month growing season here in NL, but a lot of plants require 90-120 days or more to reach maturity. Starting seed indoors allows you to plant vegetables or flowers that otherwise would not grow here. Think squash, tomatoes and cucumber. It may cost $100 or so to get all the supplies you need, but once you’ve got that, you’ll be good for years to come. Seed Starting Cell Tray – These come in a variety of sizes, so keep in mind what kind of seed you will be planting. 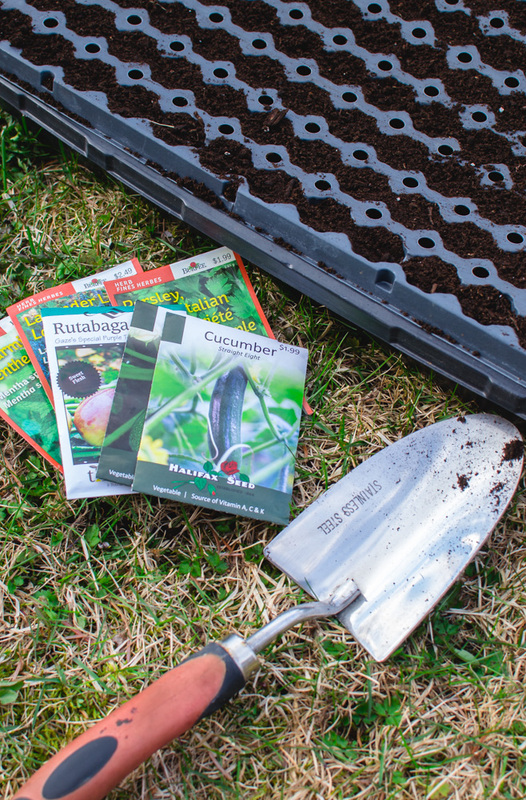 If you are planting large seed, such as pumpkin or zucchini, you’ll want a fairly large sized cell to accommodate the seed planting depth (3/4″ – 1″) and the size of the seedling. The larger size will reduce how early you will need to transplant the seedling into a larger pot, as well as preventing root bound plants. Humidity Dome – These are good for trapping moisture inside the trays, especially if you are keeping the plants in a dry location inside. Potting Soil – Any generic potting soil will do, as long as the mixture holds moisture and is nutrient rich. You can buy soil made specially for starting seeds, but it’s more expensive and generally not necessary. 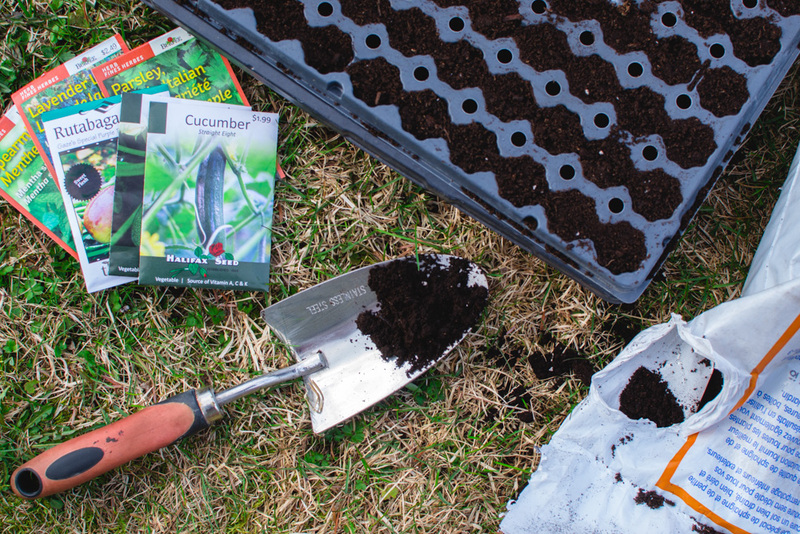 Fertilizer – Once your seedlings sprout, they’ll require nutrients to help them grow. Most fertilizers contain a combination of Nitrogen, phosphorus and potassium (the major nutrients). The available nutrients in most fertilizers are identified in this order (ie. 10-10-10, equal parts of each element). Fertilizers come in soluble and granular formulations, the first used primarily for container and small garden plantings. To promote root growth, a fertilizer higher in phosphorus is required, such as soluble 10-52-10. Later on you’ll want to promote growth of the leaves (nitrogen) and the buds and fruit of the plant (phosphorus). A commonly used soluble fertilizer with a ratio of 20-20-20 is an excellent product. Lighting – Starting seed indoors requires good light. Maybe you have a sun room or perhaps your house has amazing light. But plants require good direct light in order to grow healthy and not “stretch”. Without good light, the plants cannot perform photosynthesis and will grow towards the closest window and too quickly. This results in long stems that cannot support the weight of the leaves. The stem will then fold/crack and the plant will die. Congratulations, you murderer. All that hard work for nothing! Just kidding. But seriously, make sure you have adequate lighting. We use fluorescent lights hung from the basement ceiling. Currently, we have two lights set up side by side to cover the width of the tray. 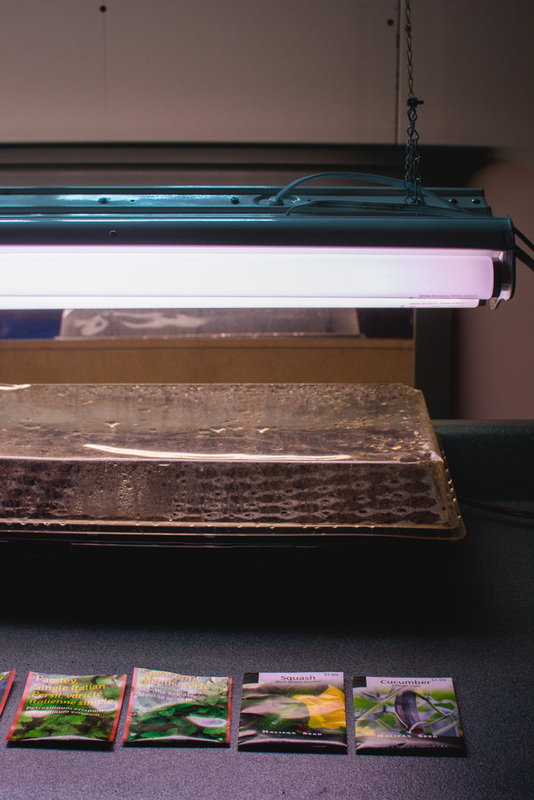 Fluorescent lights must be within inches of the seedlings to be effective, and they have to be full spectrum bulbs made specifically for plants. We purchased ours at Canadian tire for $10 a light. LED’s are better, but more expensive. That said, there are great deals online, just read the reviews. LED’s also last longer and cost less to run, so will pay for themselves over the years. Timer (optional) – We are trying a timer out this year. We have a bad track record for forgetting to turn on our lights. Oops. So, to help our little plants thrive, we invested in a timer to manage the lighting system. They’ll turn on and off at the same time every day. Heated Tray (optional) – To encourage the seeds to sprout quickly, a heating pad can be purchased to help warm the soil. Not necessary, but does help. Make sure the soil is compacted around the seed. Otherwise when you try to transplant your seedling to a larger pot, the soil will crumble away from the roots and possibly cause damage. Too many air pockets will also reduce the soils ability to retain water. Don’t let your seedlings get root bound. Know when to transplant your seedling to a larger pot. Occasionally and carefully tip a seedling out of the tray to check the roots. They should be white and be plentiful enough hold the soil together. If left too long, the roots will grow in a tangled mess and halt growth. If this happens, break up the bottom of the roots before transplanting for the best chance of survival. Also, build up pot sizes, don’t just automatically plant your seedling in a huge pot. A pot with a 3-4 inch diameter is a good size for a first transplant. Don’t forget to water! Letting the soil dry up is a sure way to get poor results. Don’t be at that. Don’t water too much! On the same topic, too much water will cause root rot. Use just enough water to moisten the soil, let’s not drown them! Create a lighting system that moves. If using fluorescent bulbs, they need to be close to the plant (a couple of inches) in order to be effective. A lighting system that can be raised as the plants grow will give the best results. We have multiple screws in the ceiling that we use to hook around the chain that supports the lighting. This moves it up or down slightly. Not high tech, but it works. Plant outside when risk of frost is gone. If you plant before then, make sure you check the forecast and cover the plants if there is a risk of frost. Frost blankets (or a regular old blanket) will do. In NL, risk of frost usually ends around mid-June, so before then, tender plants have to be protected on a cold, clear night. Read up on each plants requirements. Different plants require different nutrients. It helps to read up on this to ensure you are providing everything required to help them flourish.